Mount Pleasant East is a dreamy, Midtown neighbourhood bordered on the east by Bayview Ave, Moore Ave on the south, Yonge Street to the west and Blythwood to the north. The area is defined by local restaurants and shops. Though you'll recognize big-name retailers and grocers, a quaintness consumes Mount Pleasant East, making it desirable neighbourhood for families. 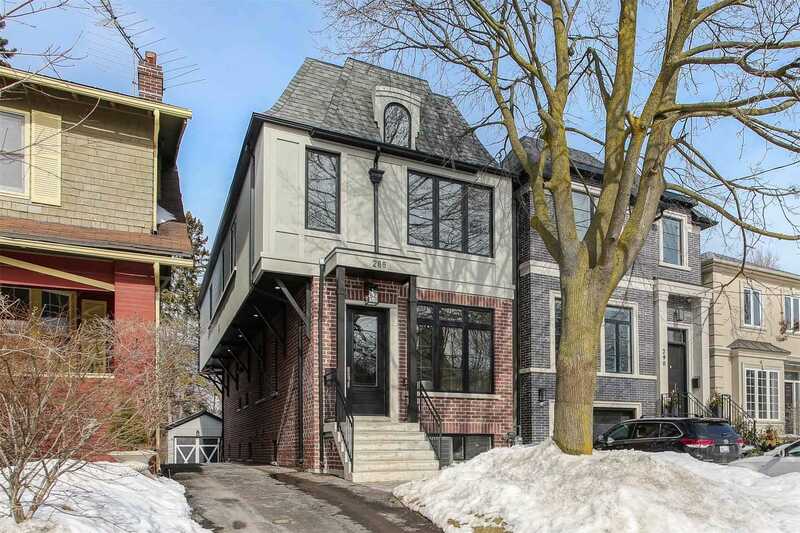 With the average house value way above the city norm, the area is indeed saturated with families, many of whom have roots stretching back well into the neighbourhood's past. Numerous professionals also set up shop here, using Mount Pleasant East as a relaxing home base for their downtown commute. The majority of the homes in the area were built in the 1920s and 1930s, but a 1980s condo surge means that many of the streets are now a mishmash of mixed-use properties. Thanks to the excellent transport links, the area has become popular with businesses who can avoid the chaos of the downtown core, while still being easily accessible for the commuter workforce. Whether you’re buying property to rent for residential or business purposes, or looking for your ideal family home, Mount Pleasant East is a prime investment location. Currently, the closest TTC subway stations to the Mount Pleasant East area are Davisville and Eglinton on Line 2 (Yonge-University), both just a short walk within the neighbourhood. There are also convenient buses running throughout, directly connecting commuters to subway stations. Luckily, the area is due to welcome its own station at Mount Pleasant Road and Eglinton Avenue, set to open its doors in 2021. Despite the current construction, Mount Pleasant East still has a Transit Score of 81/100. This commuter’s utopia is also close enough to many of the city’s major roads, which in turn lead to the arteries in and out of the city. Most residents opt to make the most of their close proximity to amenities and 88/100 Walk Score, tending to travel by bike or foot. Who lives in Mount Pleasant East? With the mix of housing prices and excellent links to the rest of the city, Mount Pleasant East is paradise for any well-heeled nine-to-five worker, so chances are you will be neighbouring with a professional or busy family. Between 2001 and 2006, the population of the surrounding area grew 85%, clear evidence of a thriving community. The following data was obtained from the 2016 Mount Pleasant East neighbourhood census profile, and the City of Toronto Ward 22 profile. Average prices are determined by the realestatecondos.ca listings. This Midtown neighbourhood is rich in independent boutiques, salons, flower shops, and cozy cafes. Locals don’t have to travel far to stock up on day-to-day produce, enjoy a delicious meal or burn off some energy with an adrenaline-filled workout. No matter if you’re on the hunt for fresh groceries or a new outfit for the weekend, Mount Pleasant East has a diverse retail offering that will cater to your every need. There is a Sobeys Urban Fresh and a Metro well within walking distance, as well as smaller, independent grocer Marcheleo’s Gourmet Marketplace. Mosey in and out of the quaint boutiques that are scattered along Mount Pleasant Road. Some gems include Jacaranda Tree & Co., which sells everything from toiletries and soaps to stationary and linen imported from Europe. Or, try Happy Tails Dog Spa which promises a full service “spa treatment” for the furriest member of your family. And, you’re just a short journey from Mount Pleasant West’s Yonge Eglinton Centre, home to some of Canada’s favourite mainstream stores, including Urban Outfitters, Winners and The Body Shop. From dinner on Friday night to Sunday’s brunch, your taste buds will be delighted with the culinary offerings located just a short walk from your front door. Load up on waffles or sink your teeth into a hand-crafted breakfast sandwich at the Starving Artist, located on Mount Pleasant Road. Or, try some of the finest Italian cuisine, transporting you right to the Amalfi Coast, at Positano Restaurant. For whimsical desserts and fine wines try Birch Bistro, a French inspired eaterie housed in what used to be an old bank. And of course, satisfy your coffee needs with Canadian favourite, Tim Hortons, just a short walk down Mount Pleasant Road. Just because you're away from downtown, it doesn’t mean that you have to pass up on fun things to do. From specialized fitness hubs to the Cineplex at the Yonge Eglinton Centre, there is plenty to fill your time with in this neighbourhood. If you’re a fitness fanatic, check out the Junction Fitness Hub, a boutique fitness centre that provides holistic nutrition advice as well as physical training in an intimate setting. Or for something a little slower, try The Healthy Joint, a small yoga studio on Mount Pleasant Road that also offers chiropractic and massage therapy. For the book worms, head to one of the book discussion groups at the Mount Pleasant Library, or, brush up on your computer competency at one of their regular workshops. This residential hub is home to a number of sweet parkettes dotted along its avenues. The neighbourhood also has two larger green spaces ideal for making the most of a sunny afternoon. June Rowlands Park, sitting on the corner of Mount Pleasant and Davisville, is a sizeable space tucked behind a community centre. Just five minutes from the Eglinton TTC Station, it's a great place to bring the kids, with plenty of fun up for grabs including a play park, splash pool, baseball diamonds and a handful of mini soccer fields. The park is also a favourite for dog walkers, and although it doesn’t have an off-leash area, the space still has more than enough room for your pooch to stretch their legs. An unexpected horticultural haven comes in the form of the Mount Pleasant Cemetery. This historical area is the resting place of many notable Canadians, but is also home to some beautiful winding trails favoured by joggers and cyclists. From large flower gardens to an abundant collection of trees, there is a wealth of natural beauty to take in.